Trips to Vietnam, Cambodia and Laos, or also collectively known as Indochina holiday packages, do bring you a chance to learn more about nature, history, and culture in abundance along with other reputable sights, such as the spectacular Angkor temples, the colonial town of Hoi An, and the spiritual city of Luang Prabang. While Indochina is a rich gem of fantastic and heritage holiday destinations, traveling to the countries of Laos, Cambodia, and Vietnams does not only provide the superb comfort and relaxation like your typical holiday but also allow you to experience something new and exotic. Before booking Indochina tour packages, you should keep in mind that these tours are designed to feature the highlights of this fascinating region. Of course, it is quite impossible to cover everything at the same time. But, you can choose to discover the region’s landmarks to enjoy a fantastic experience that is likely to bring you back time and again. While there are different packages available, based upon guest’s interests and needs, most will revolve around the following landmarks as the best introduction to Southeast Asia. 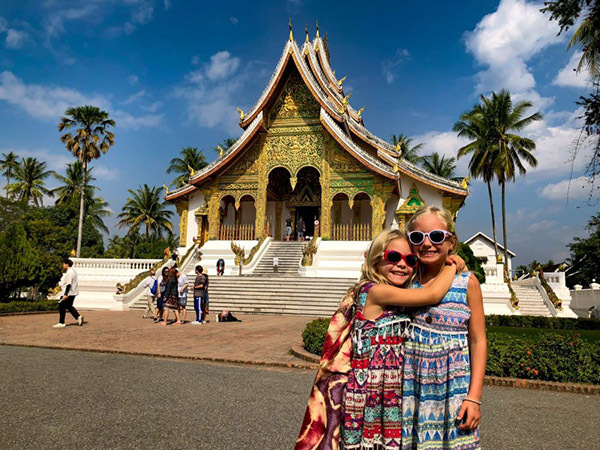 Why should you travel to Indochina with kids? 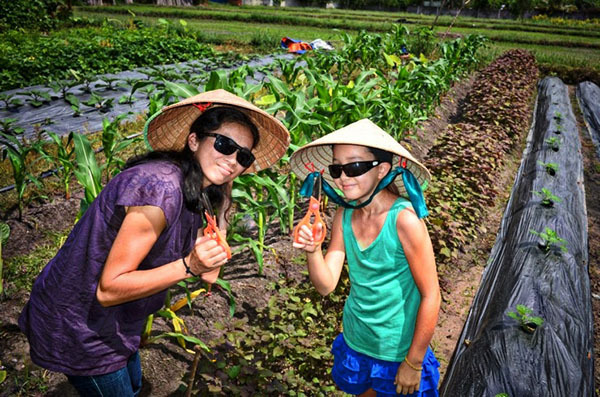 Believe it or not, Indochina holiday packages provide an endless stream of exciting sights, breathtaking landscapes, exceptional learning experiences, as well as wonderful opportunities to volunteer for local activities and projects, which will keep children of all age truly happy and engaged. Throughout Southeast Asia, while the adults are friendly and amiable, children are so cute and adorable. Whether you travel with babies and toddlers or teenagers and tweens, it is sure that the itineraries will always match your family’s demands. Definitely, activities and locations are designed to not only excite and entertain the whole family members but also be remembered as the trip of a lifetime. From the bustling city life of Vietnam to the lazy rivers of Laos and the man-made masterpiece of Angkor temples in Cambodia, there are many impressive spots and exotic sights in Indochina that are perfect for kids to feel entertained and amused, while still permitting their parents to deeply soak up to the relaxation and vacation time they need. So, get ready to enjoy the best of the best? Here we go! Vietnam should be at the top position of your list. The S-shaped country welcomes visitors by its picturesque landscape, amazing scenery, friendly locals, and exotic cuisine, which you will remember for the longest time. Make sure to motivate your beloved angels by a lot of inspirational activities while in here, like riding a bike along countryside roads, going kayaking through caves and grottos, light trekking to mountains, camping out in hill-tribe villages, rice planting, or even learning how to craft traditional products. Begin the trip to Hanoi – Vietnam’s capital. You can experience the tranquil atmosphere and nostalgic feelings while taking a stroll around the Old Quarter. If your family are actively adventurous members, then going kayaking through the stunning karst landscapes of Halong Bay is a nice idea. Just two and a half hours outside of Hanoi, you can expect to marvel at one of the world’s most awesome geological settings. Here, don’t miss paddling pass through the towering limestone karst formations and beautiful islands, such as Lom Bo Islet and Ti Top Island. Discovering Me Cung Cave is also worth a try. The waters here are very calm and serene, which become ideal for boating and kayaking with kids of all ages and ability. 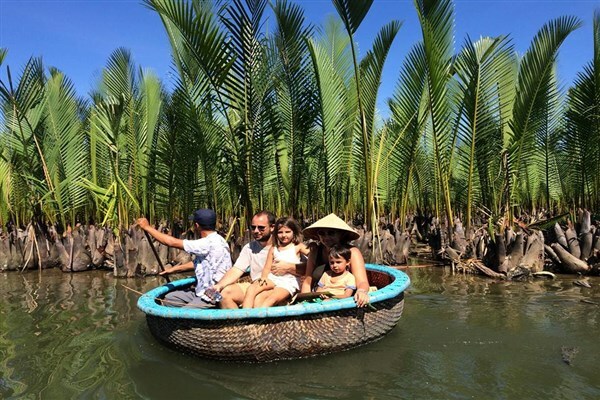 Let’s come to experience the very best of family travel tour in Vietnam with Indochina holiday packages. If you wish to enjoy the hustling and bustling vibe, nowhere on Vietnam can beat Ho Chi Minh City. While the city helps to broaden your historical knowledge through visiting The Reunification Palace, The Central Post Office, The Notre Dame Cathedral, and Cu Chi Tunnels, don’t forget to learn more about the local lifestyle by going shopping around Ben Thanh market. How about a trip to the countryside area where you can experience idyllic canals and rivers, floating markets, coconut waterways, serene atmosphere, and cozy homestay villages? Then, head towards Mekong Delta now! If you are going to travel to Vietnam in December, please notice that hotels and flights during that high season start to be full by the end of July and early August. Hence, booking in advance is a good idea! Undoubtedly, no trip to Cambodia is complete without visiting the Angkor complex – the world’s largest collection of ruins. Something magical does happen when you enter the temple ruins. 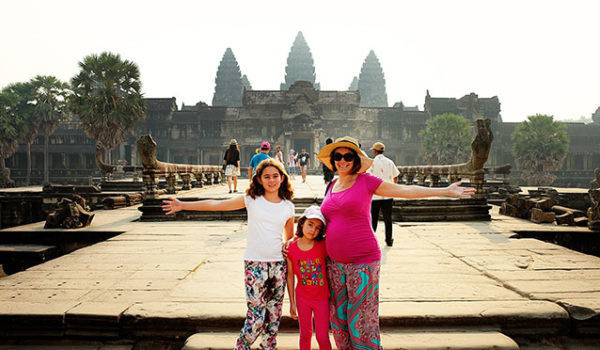 Exploring Angkor Wat with kids is a truly rewarding and extraordinary experience. Spectacular Angkor temples, prominent monasteries, and glowing capitals from the once thriving Khmer Empire are now surrounding you. While discovering step by step, the journey seemingly takes you deeper and deeper into the past. The greatest thing is that the journey teaches them about this amazing place while letting them explore it with you. Though they might not understand deeply the significance of these structures, the memories they gain can linger on their mind forever. Maybe, in the near future, they will be able to teach their cute kids a little more about the world and even its hidden secrets. While Siem Reap is a perfect base for discovering the Angkor complex, don’t miss other cool activities around, such as visiting Ta Prohm and some nearby temples (i.e. Banteay Kdei, Sra Srong, Ta Keo, Thommanon and Chau Say Tevado), exploring the ancient ruins with the South Gate of Angkor Thom, watching the sunset from the Preah Rup temple, etc. Although Angkor catches most of the attention in Cambodia, Phnom Penh should not be missed, too. If you travel with kids, just remember that this is a risky venture. That’s because the city witnessed a tragic recent history of the Khmer Rouge genocide. But, going sightseeing around Phnom Penh is worth a try with many historical monuments whose architecture is incredibly impressive and spectacular. Top attractions in the city include the Royal Palace and Silver Pagoda, Toul Sleng Prison Museum, the “Killing Fields” of ChouengEk, and so on. With Vietnam, China, Cambodia, and Thailand on its borders, then it is no wonder that Laos also gets much draw! As a peaceful and laid-back country, Laos leaves a strong impression on visitors by its natural beauty, interesting festivals, and ceremonies, and smiling, welcoming locals. In general, Luang Prabang is the focal point in most of the Indochina Holiday Packages in Laos. Start the peaceful morning by watching the daily morning rituals of orange-clad monks who collect offerings of Alms from the locals. This a tradition in Laos for centuries. Then, you will have a chance to learn what the Laos people do every day by visiting the local market near the Royal Palace. While Royal Palace Museum widens your vision with a large range of interesting artifacts, the magnificent Wat Xieng Thong gets its name reputable as the place for the coronation of Lao kings, in addition to as a significant gathering place for important annual festivities. There are also a few places which are beautiful and enjoyable for discovery, including the Traditional Art & Ethnology Center, Wat Visoun, and the splendid Kuang Si Waterfall. For outdoor activities, nowhere in Laos can beat the Shangri Lao elephant camp – an ideal overnight adventure. Set up on the banks of the Nam Khan River, about 12 kilometers from Luang Prabang, the camp gives your little ones a chance to experience the level of history and tented luxury in a unique safari park. Furthermore, a visit to the Shangri also allows them to interact with the local elephants, learn about their language, bath them in the river, join in the mahout training, or just observe their exciting actions. Thus, are you ready to discover Indochina on Indochina holiday packages through Vietnam, Cambodia, and Laos? This 23-day adventure focuses on the best of these 3 countries, including the awe-inspiring landscapes of Vietnam, the legendary Angkor temples of Cambodia, and the magic of Laos’ wats. Such packages impeccably balance the cultural immersion with relaxation and sightseeing, giving you an unparalleled Indochina experience. However, before deciding to travel, please be highly aware of the environment you’re now evolving in. Preserve the environment, understand the socio-economic context, as well as respecting cultural codes. Happy trip!